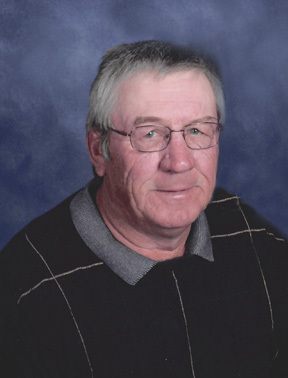 Dean Ness, 68, a lifelong resident of Dalton, Minnesota died Saturday, March 30, 2019. Dean Allen Ness was born on October 10, 1950, in Fergus Falls, Minnesota the son of Willard and Phyllis (Eggum) Ness. He was baptized and confirmed at Our Saviours Lutheran Church in Dalton. He attended grade school in Dalton and graduated from Ashby High School in 1968. After completing basic training for the Army Reserves he attended Alexandria Technical School where he received his degree in Commercial Art. He was employed at M & R Sign Company in Fergus Falls. He later was a heavy equipment operator for forty years, until his retirement in 2011. Dean and Barbara Risbrudt were married on July 22, 1972, at Our Saviours Lutheran Church. They were blessed with two children, Gretchen and Brent. He enjoyed hunting, fishing, creating flower gardens at the lake, spending time with family and friends and especially his grandchildren. He was preceded in death by his parents, Willard and Phyllis; sister, Barbara; and brother, Gary. Dean is survived by his wife, Barbara; daughter, Gretchen (Brandon); son, Brent (Joni); grandchildren, Brayden, Alexander, Taylen, Julia, Brooklyn and Gabriel; brother, Darrel (Susan) Ness of Ashby; sister-in-law, Linda Ness of Ashby; brother-in-law, Wayne (Brenda) Risbrudt of Ashby; and by numerous nieces, nephews, relatives and friends. Memorial Service: 11:00 AM, Friday, April 5, 2019, at Our Saviours-Ten Mile Lake Lutheran Church in Dalton. Visitation: Thursday from 5 to 7 PM, with a 6:30 PM Prayer Service, at Glende-Nilson Funeral Home in Fergus Falls and one hour prior at the church. Interment: Our Saviours Cemetery by Dalton. Funeral Home: Glende-Nilson of Fergus Falls.